I’ve wanted to complete this for ages and I couldn’t find the right words to go about it. Two years ago to this day, January 11th, some of us lost a very special friend, musician and colleague. This album is dedicated to the memory of Julian Mark Harris. Although I wish he were still here, I'm always thinking of him, but particularly on this day, inspired by him and his music, which live on in myself and I’m sure everyone whoever had the pleasure of hearing it. Julian's previously unreleased guitar playing can be heard on tracks 4-6, and 8-9 of this album, alongside the percussion of Luigi De Gouveia. 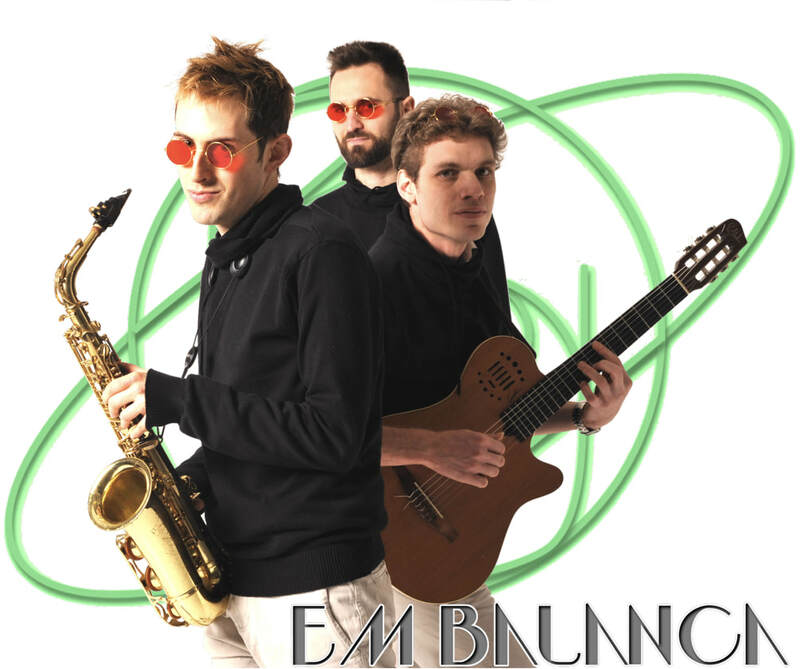 It also features Benjamin Gasiglia (guitar) and Riccardo Castellani (percussion). I know Julian would have loved to have heard the finished result because it includes many of the tunes we used to play together. I dedicate this album to Julian Mark Harris with whom many of us shared wonderful memories and good times. Em Balança: an album dedicated to the late Julian Harris (August 7, 1963 - January 11, 2016). Ivan Lins is a true Brazilian songbook. His compositions have been covered by many Brazilian artists including Elis Regina, Claudia, Eliane Elias, Sérgio Mendes; plus many North American artists too such as George Benson, Michael Bublé, Quincy Jones, The Manhattan Transfer, Sting and Sarah Vaughan, among others. This arrangement of A Gente Merece Ser Feliz ("For The People to be Free") previously recorded by Ivan Lins with the Metropole Orkest, tries to capture that uniquely Lusophone bittersweet sentiment of hope combined with nostalgia, known to the Brazilians as saudade. 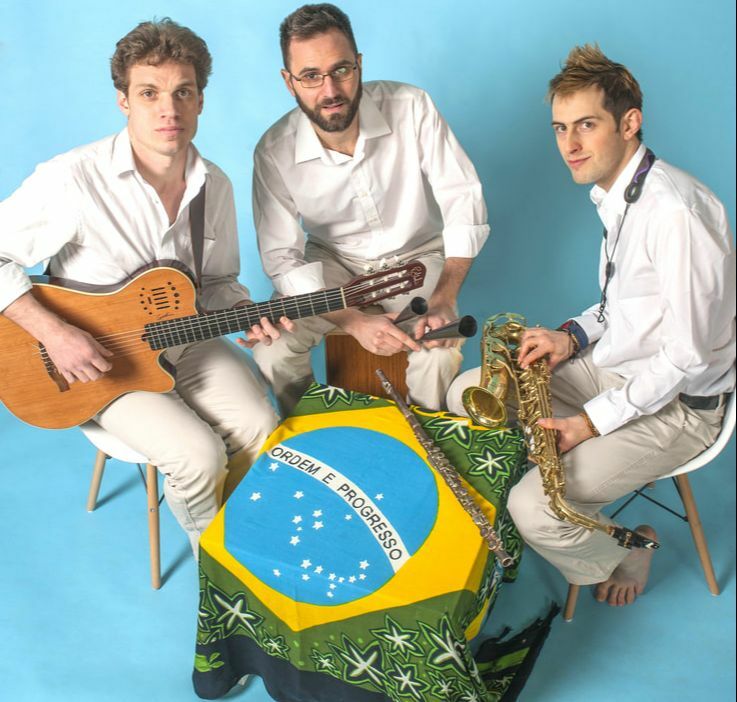 ​Chega De Saudade ("No More Blues") is one of Tom Jobim's earlier compositions, and was one of the songs that gave birth to the original Bossa Nova ("New Wave") - put simply: the rhythms of samba diluted and distilled with the harmonies of jazz. Chega De Saudade is one of Jobim's more 'European' sounding compositions. Jobim and many of his predecessors in the Choro and Maxixe traditions took influences from European classical music, particularly Beethoven. Chega De Saudade is in a symphonic 'AABC' form complete with theme, development and recapitulation. The mid-form shift from tonic minor to major - highly unconventional and daring in its day - signifies the transition from nostalgia to hope: hope that the subject will eventually return to its 'home', both musically and metaphorically. Durval Ferreira was a composer, guitarist, arranger and producer. Like his contemporaries Tom Jobim and Ivan Lins, he is a true songbook within the oeuvre and his ​work has been interpreted by the likes of vocal powerhouse Leny Andrade), flautist Herbie Mann and North American jazz artists Wes Montgomery and Sarah Vaughan. This arrangement is based on a live recording segueing three of his most well-known tunes, which was performed by Leny Andrade & Emilio Santiago. Tristeza De Nos Dois epitomises the classic descending 2-5-1 voicing popularised by so many guitarists in the genre. Estamos Aí was quoted many times by saxophonist Paquito D'Rivera, most notably in his composition Snow Samba. Batida Diferente was later recorded by Julian Edwin "Cannonball" Adderley on his album Cannonball's Bossa Nova (1962), whose name seems a little fitting tribute to Julian. O Morro Não Tem Vez ("The Hill Doesn't Have Any Time"), otherwise known by North American jazz musicians as Favela ("Town") is a little-known gem discovered on visiting a theatre in Rio De Janeiro where they were putting on a production of Tom e Vinicius, O Musical​ - a musical theatre production celebrating the work of composer Tom Jobim and poet-lyricist Vinicius de Moraes. The musical featured a chorus of beautiful eight-part vocal arrangements accompanied by a string orchestra and band. The song talks about the hills overlooking Rio; stating that the people of the hills don't get a say in social/political affairs, but if they did, all of the city would rise up. The recording is loosely based on the Wilson Simonal arrangement. It was also recorded with English lyrics by Ella Fitzgerald, as Somewhere in the Hills. Marcos Valle is a musician known for fusing Bossa Nova & Samba with jazz, rock, soul and dance music. His Batucada, taken from Samba '68 (1968), playfully conjures a voodoo trance paying homage to the Orixa (goddess) of the sea, familiar to Brazilians as Yemayá. Berimbau was one of Julian's personal favourites and choices of songs to record. The strumming guitar pedals and modal harmonies evoke the twanging sound of the berimbau - a single-string percussion instrument / musical 'bow' from Brazil. Originally from Africa and known under different names, the berimbau was incorporated into the pseudo-religious martial art of North East Brazil - Capoeira. The music and lyrics (believe it or not) were the outcome of a heavy whisky drinking session between Baden Powell, Vinicius de Moraes and vocalist João Gilberto. The 'B'-section passage is a ritualistic incantation and leans towards that haunting, hypnotic vibe. Speaking of 'haunting and hypnotic', Alex Malheiros of Azymuth wrote our next song Salto Das Sete Quedas ("Cascade of the Seven Waterfalls") about the beautiful Salto das Sete Quedas do Guaíra, a series of immense waterfalls on the Paraná River along the border between Brazil and Paraguay. The falls no longer exist, inundated in later in 1982 by the impoundment of the Itaipu Dam reservoir. The song appears on the 1982 Azymuth album Cascades. This arrangement takes the final, major-11th chord as a trigger reference to Tom Jobim's Aguas De Março ("Waters of March"), which is heard briefly in the mix at the end. The infinitely regressing nature of both the chords in this song, and the Aguas De Março reference, perhaps symbolise the ever-cycling waters as an eternal life force that underpins everything. Talking of our planet, and of our environment, Corner of the Earth is a Bossa Nova-type track, reflecting on the problems that people of the Earth have to suffer. The fourth and final single from British funk/acid jazz band Jamiroquai's fifth studio album, A Funk Odyssey (2001), Corner of the Earth was another favourite we used to play with Julian. Our arrangement featured Arabesque ad libbing on the guitar and percussion breaks, injecting dynamism and spark to the otherwise sentimental Bossa Nova trio. Nos E O Mar ("Us and the Sea") is a little known gem by Brazilian composer, producer, guitarist and vocalist Roberto Menescal, known in the Bossa Nova world for his other maritime-themed compositions such as O Barquinho ("Little Boat"), O Pato ("The Duck") and Rio, and for his collaborations with the likes of Carlos Lyra, Nara Leão and Wanda Sá among others. Fortunate enough to hear Wanda Sá's version of this song in Rio, I was enchanted by it instantly. The poignant intro homes in on Julian's wonderfully sensitive guitar playing, and the chord structure is re-harmonised. It's an aqueous sea song, channeling that Eliane Elias / Diana Krall-esque lush, layered, 'lounge' orchestration. The spiritual voices later on surround sound, blurring that distinction between reality and illusion. The verse at the end was added as an afterthought, perhaps representing a whisper/murmur below the ocean waves. From the sea, we turn once again towards the hills. Mountain Flight, plucked from Toninho Horta's Diamond Land (1988) in collaboration with saxophonist Wayne Shorter, is a nod towards North American jazz, and the marriage of jazz harmonies and Brazilian influences, which have become so iconic and integral to the Bossa Nova sound.